Summer is a perfect time to make some delicious salads. Sometimes it’s good to try a different twist to them. 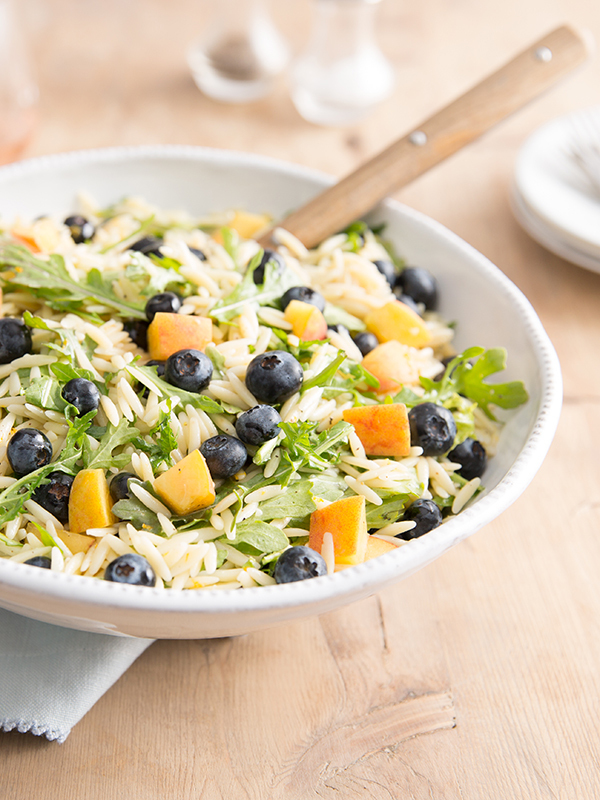 This salad includes two different types of fruit, blueberries and peaches and combines them with orzo pasta. You can find this recipe on the USHBC website. Enjoy at your next summer time barbeque or potluck!